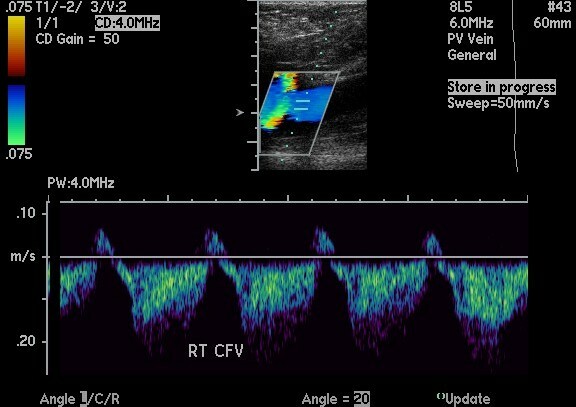 Doppler color ultrasound of the right common femoral vein with waveform. 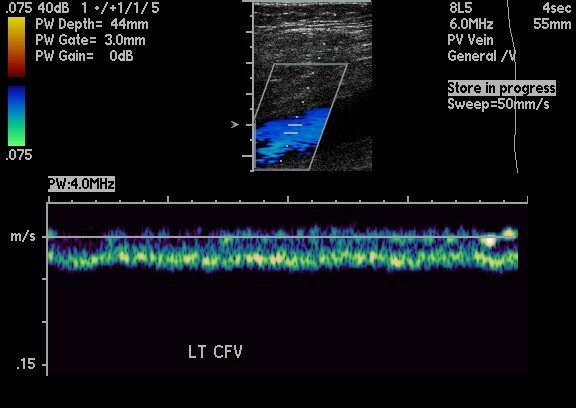 Doppler color ultrasound of the left common femoral vein with waveform. DVT w. the monophasic waveform? Exactly right! The full solution will be posted soon. Thanks for answering.